A#, G#, and D are keys which people may prefer to have "set-up" differently. Lindsey told us that "set-up" adjustments are easy to do on a finished flute. Here at Powell, she sets-up flutes during the testing process. She mentioned spring tension adjustments and key heights/angles as two main areas that are part of this process. 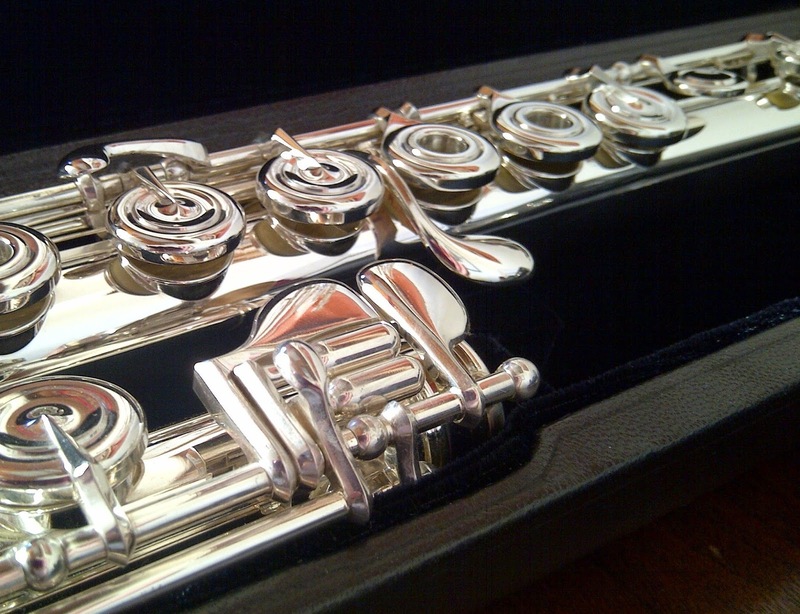 For instance, she said that if the player has a light touch, the flute can be set-up with lighter spring tension. 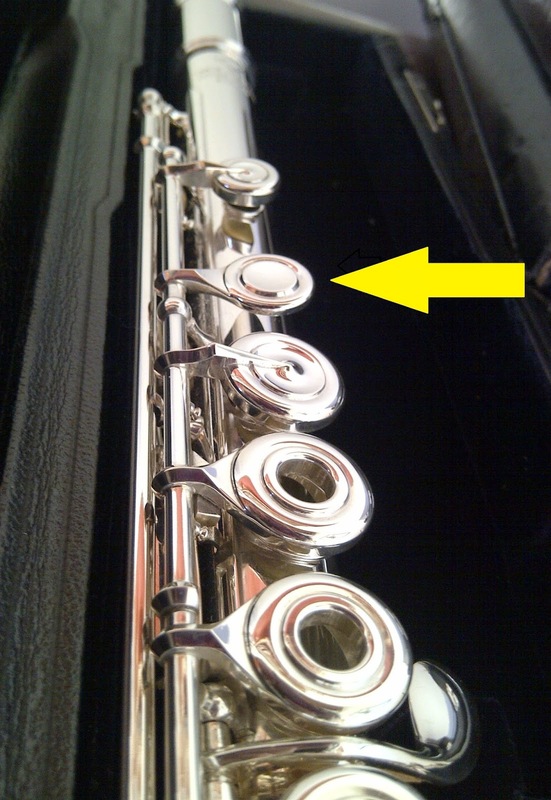 Contrarily, if the flutist has a heavy touch, the flute would be set-up with higher spring tension. Lindsey tries to keep a slightly lighter tension on keys that are connected to other keys -- for instance, A# anf F#. She said that if one of the connected keys already has a heavier spring tension, the A# and F# would feel even heavier, so she lightens them up a bit. In terms of key heights, she mentioned that they can also be adjusted. In some cases, it may be the key height and/or angle. For example, when Lindsey purchased her Powell, she asked to have the C1 key raised just a bit. Many people will also have preference for the G# key -- some people want it to be straight, and some people prefer more of an angle. The A# key is also one that people might have preferences for in regard to the key's height and angle. Players may have additional requests for key size, too. In Lindsey's case, the D# key on her footjoint was a stretch for her, so she asked to have the key made slightly larger. Finally, headjoint fit is a large part of the set-up process. Some people like a looser fit, and some people prefer a fit that is tighter. When it comes to headjoint fit, there is no gauge. It is simply a matter of feel. Both Lindsey and Rebecca Eckles, Director of Quality and Service, prefer to have the headjoint fitting smoothly and securely, so that the body will not drop off should someone grab the flute by the headjoint (which, by the way, you really don't want to happen!). Lindsey shared that the headjoint fit is certainly subjective, but since flutists tune with the headjoint (pushing it in and pulling it out constantly), the fit is definitely an important part of the set-up process. Yellow arrow points to C1, which people may have set-up differently.